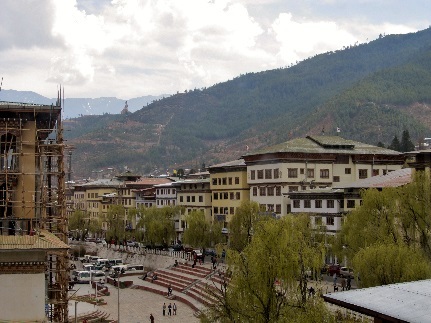 If you ever appear on the show “Who wants to be a Millionaire” and the £1m question is “What is the world’s only capital city which doesn’t have traffic lights?” you better hope your “phone a friend” has visited Bhutan. 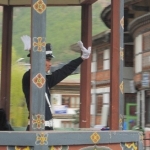 If he has, then he will shout THIMPHU and the cheque will be yours. 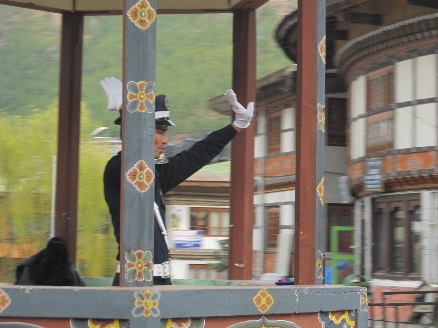 In truth, the white gloved policeman standing in the middle of the roundabout has a pretty easy job. 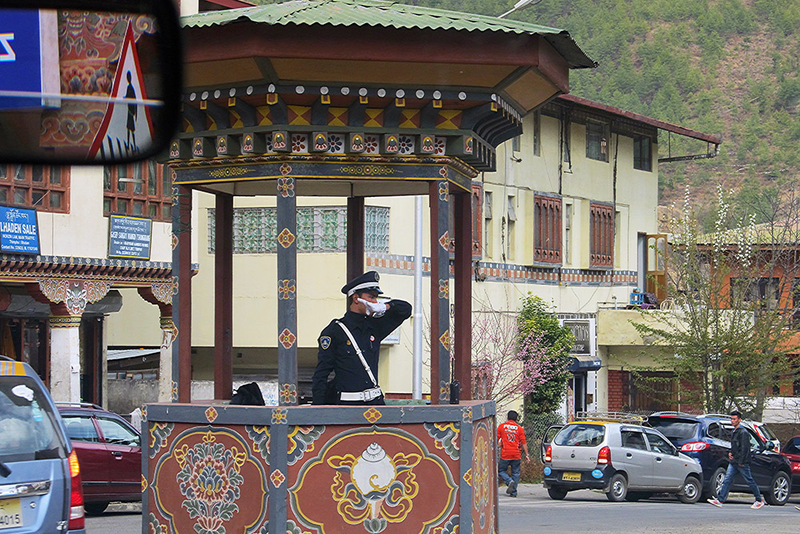 In Bhutan, road rage is non existent and horn blowing is not obligatory as, it seems, in India. 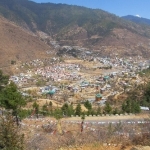 In fact the whole city of 100 000 seems pretty laid back and so it proved, is the rest of the country. 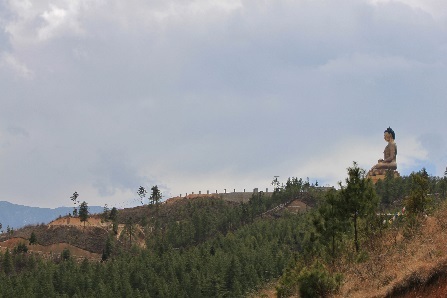 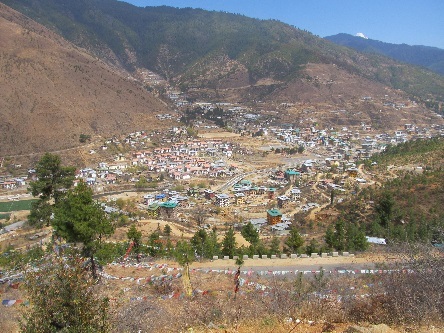 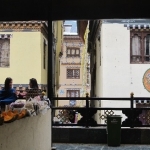 Thimphu nestles between wooded mountains. 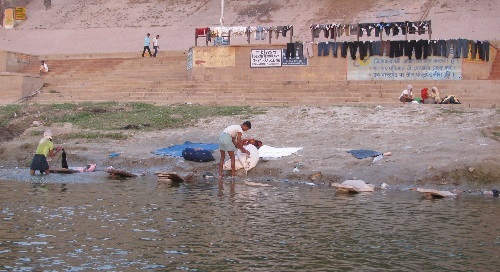 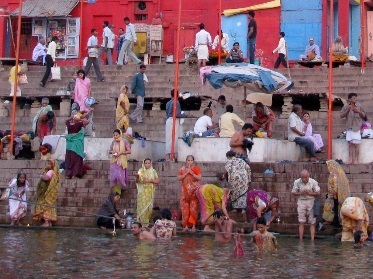 Houses provide colourful splashes in the valley floor. 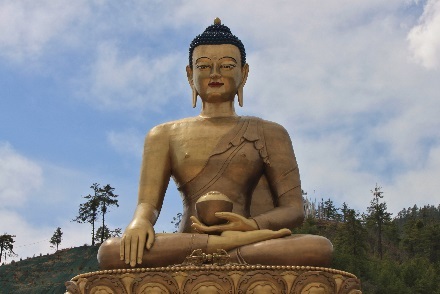 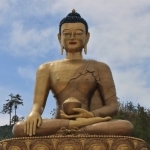 A massive 50m tall statue of Buddha Dordenma sits serenely above the city looking down benevolently. 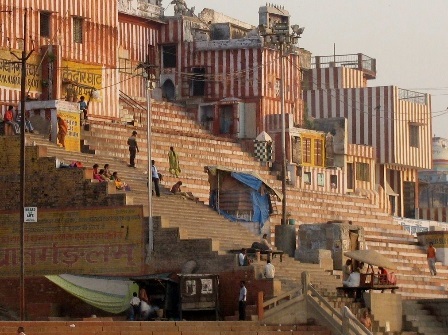 It’s not just the houses which are colourful. 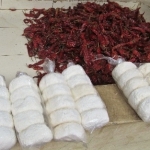 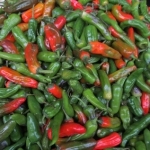 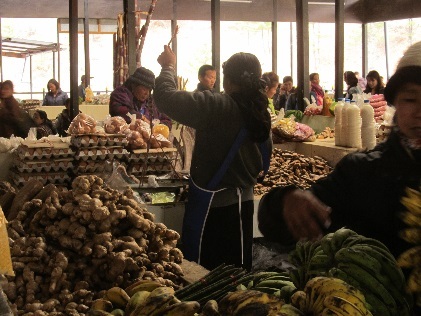 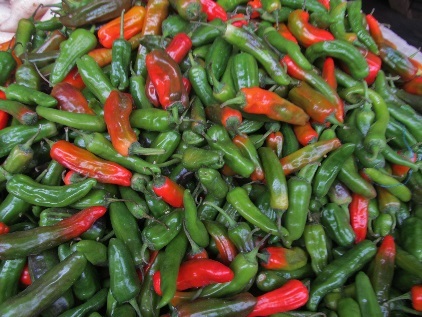 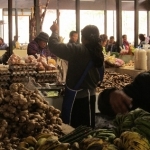 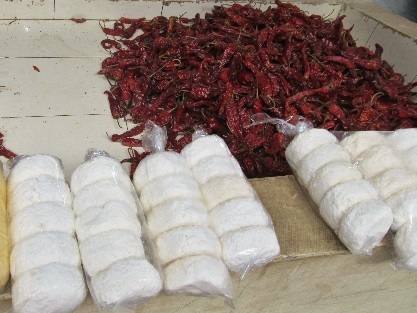 The weekend market overflows with chillies, plump green or dried shrivelled red ones sit alongside chugo, hard, dried yak cheese. 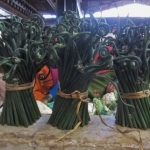 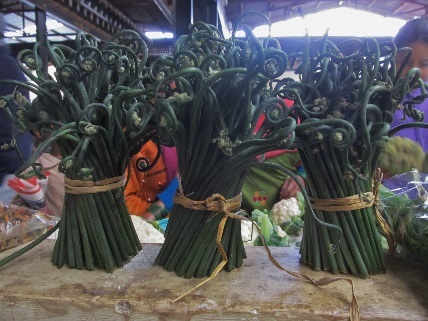 Green curly fern fronds called nakey are stacked with jackfruit and in the area selling incense and saffron, all sorts of smells tickle the nostrils. 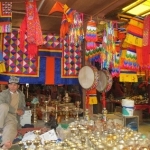 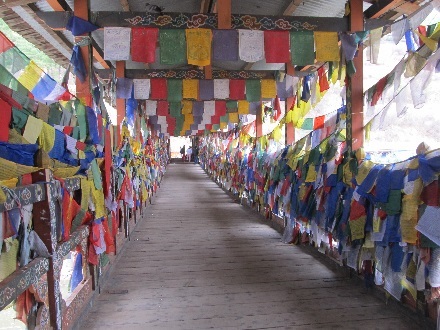 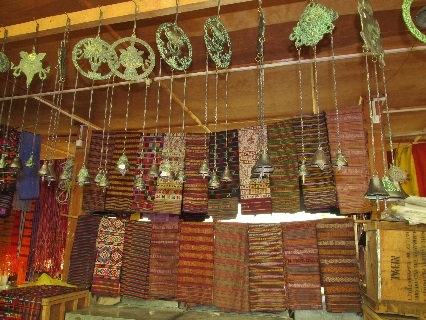 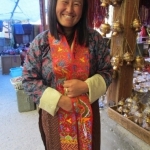 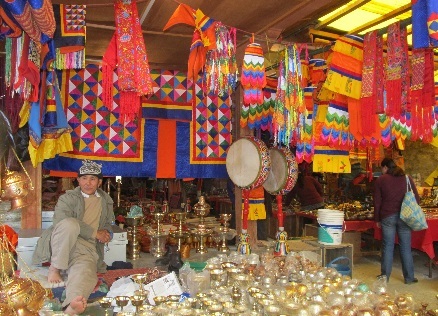 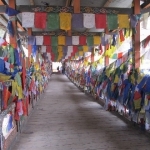 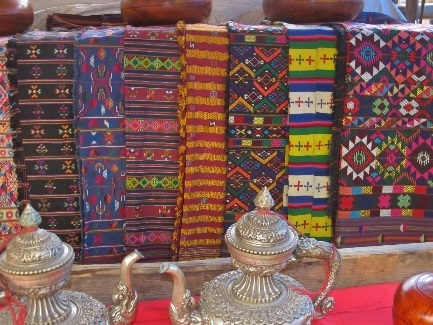 Across a bridge festooned with prayer flags the handicraft market sells stunning silk decorations, brass butter lamps, drums, prayer wheels and yak tails. 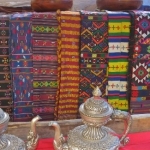 Intricately embroidered kiras hang on display alongside elaborate silver teapots. 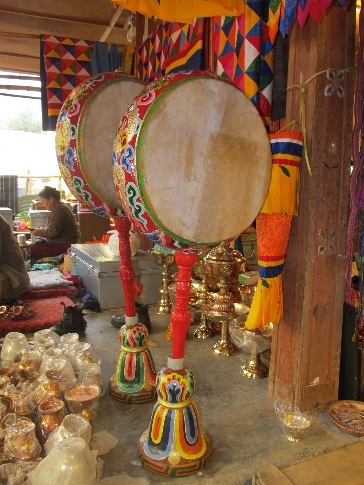 A treasure trove of local artefacts. 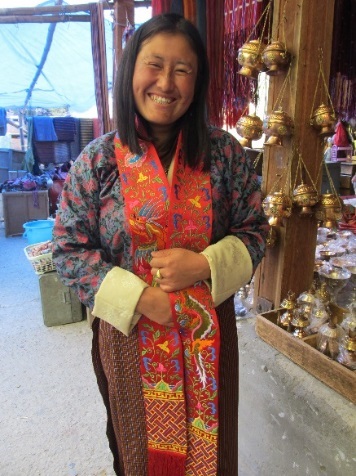 At the end of a busy market day I had to smile. 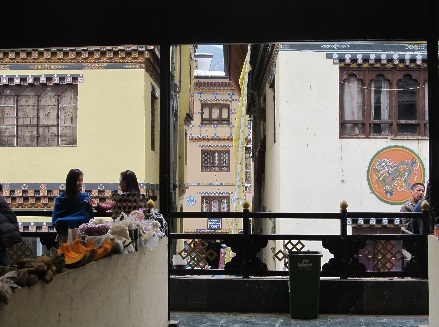 The young Bhutanese trade their traditional ghos and kiras for jeans and head for the karaoke bars. 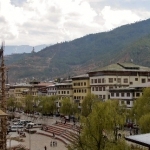 The throb of karaoke music is about as rowdy as it gets in downtown Thimphu on a Saturday night! 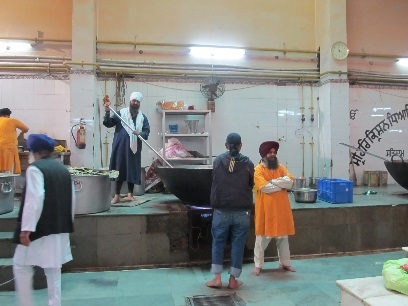 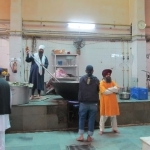 The aroma of coriander wafted along the verandah as our group headed for the kitchen of the Sikh Temple in Delhi. 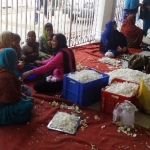 Ladies in salwar kameez sat cross-legged on the marble floor chatting animatedly, peeling onions, potatoes and radish with piles of fresh coriander beside them. 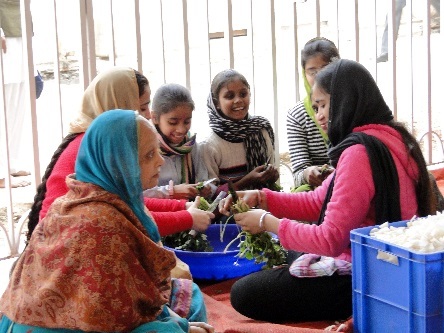 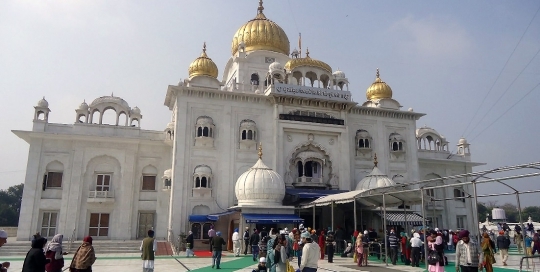 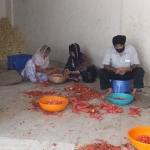 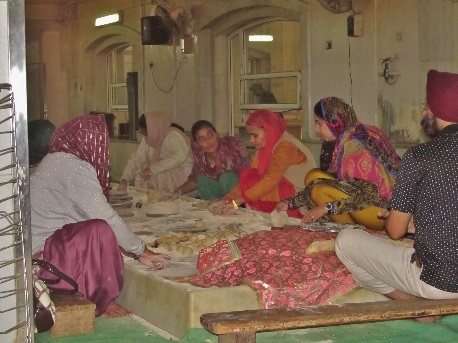 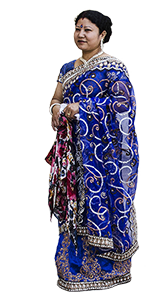 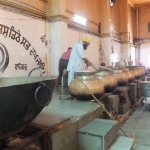 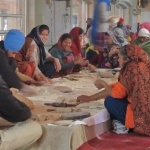 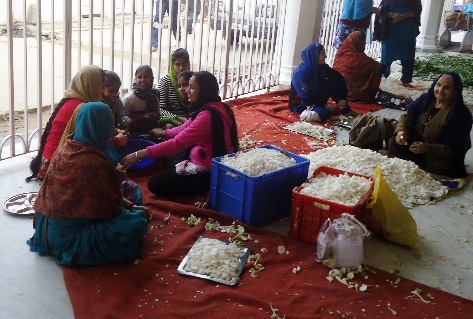 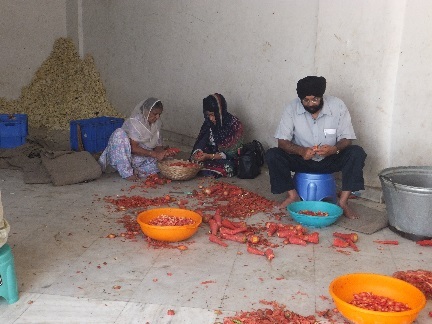 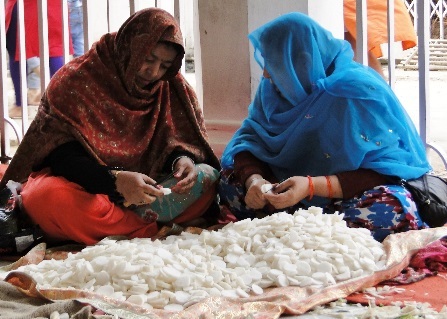 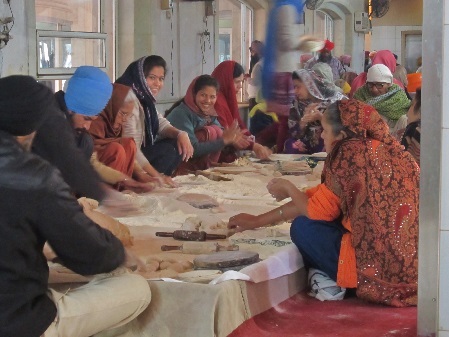 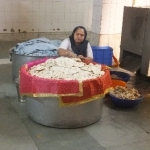 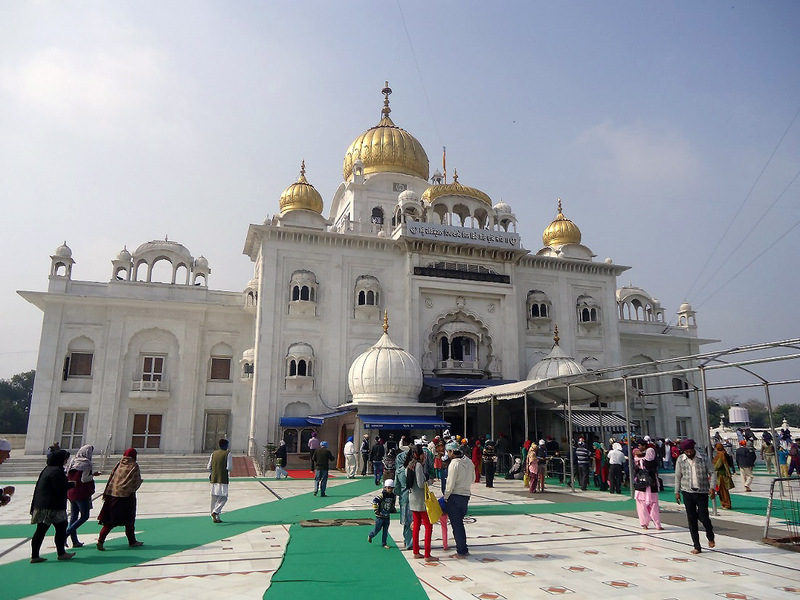 The ladies are volunteers who daily prepare vegetables, dhal and chapatis for pilgrims visiting the Guru – ka – Langar, the free community dining room, a feature in all Gurdwaras. 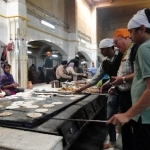 The kitchen was a hive of activity as food was prepared for hundreds of diners throughout the day. 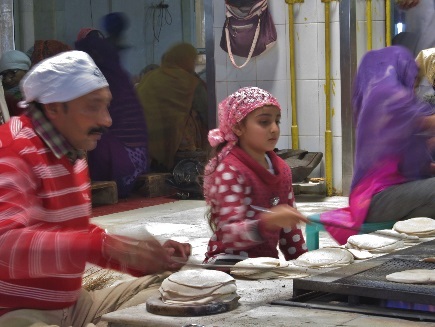 All ages were helping in the chapati assembly line. 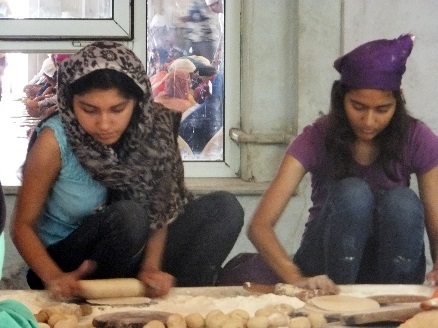 Giggling girls rolled the chapatis, transferring them to a hot plate where they were cooked and flipped. 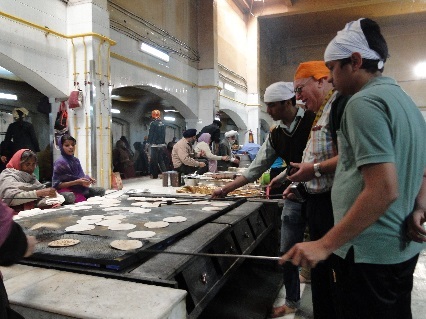 Terry, one of my guests, wearing a rather fetching orange headscarf, flipped a chapati or two, with a little help from his new friends. 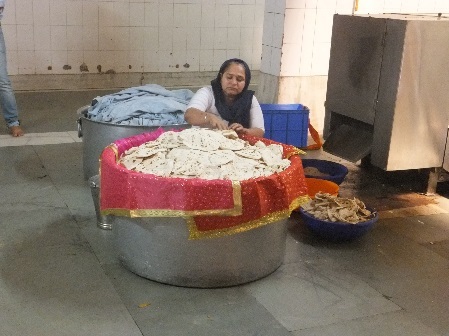 A lady sat at another chapati machine. 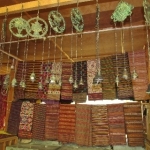 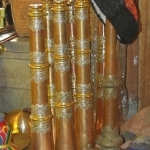 As they popped out, she stacked them into a huge aluminimum pot lined with red and gold trimmed cloth. 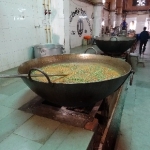 One man was stirring a vast wok, bubbling with dhal. 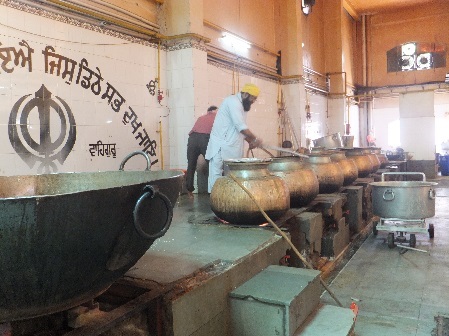 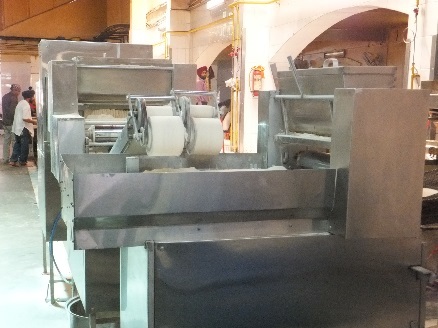 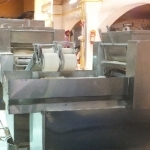 Once cooked it was transferred to a row of smaller cauldrons and dispensed to the dining hall. 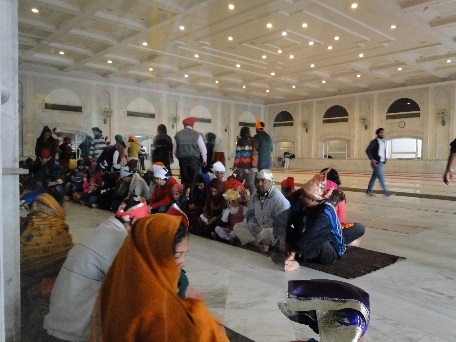 There was a tremendous feeling of community spirit and friendliness and definitely worth visiting to learn about Sikhism. 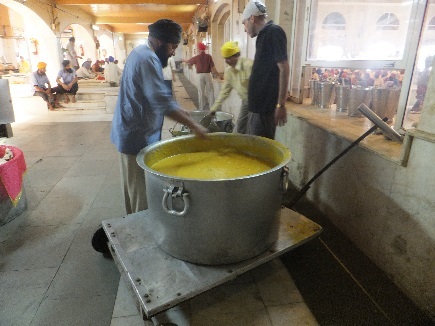 I ate the best dahl ever, at the Golden Temple in Amritsar, prepared in the same way. 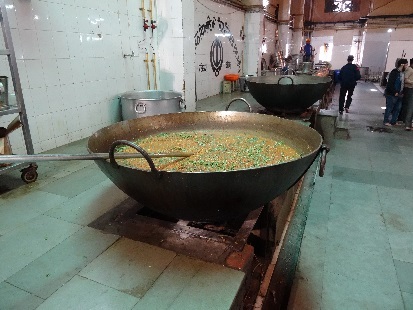 If you can’t travel there, have lunch in the Gurdwara Bangla Sahib, you know it is freshly prepared! 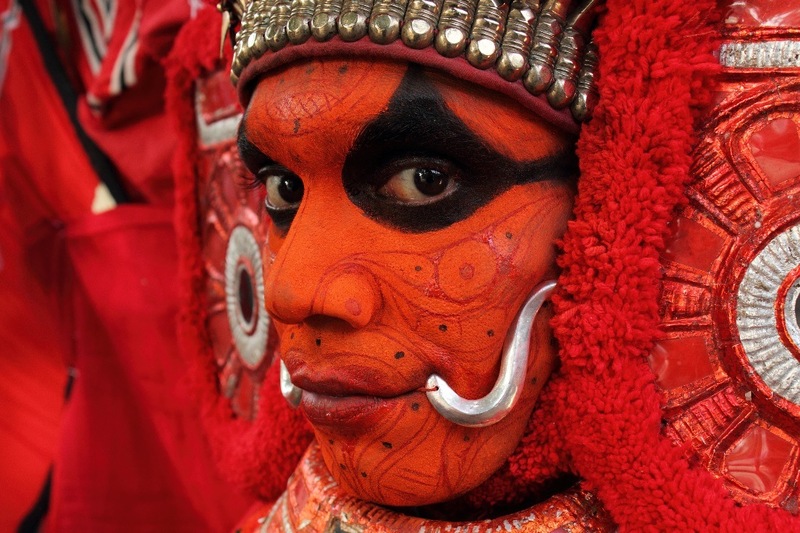 I jumped at the chance to see a Theyyam performance. 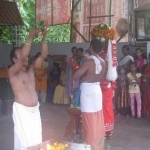 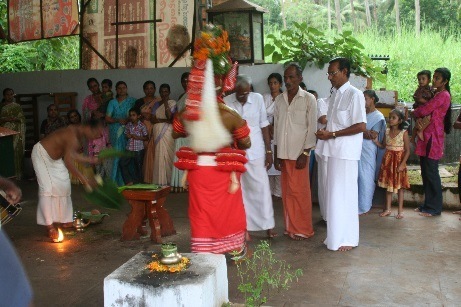 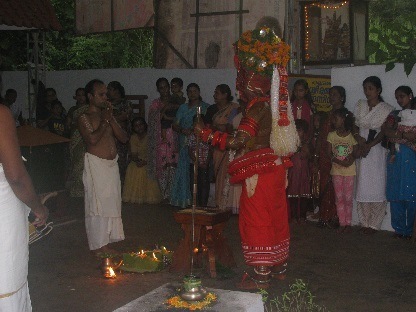 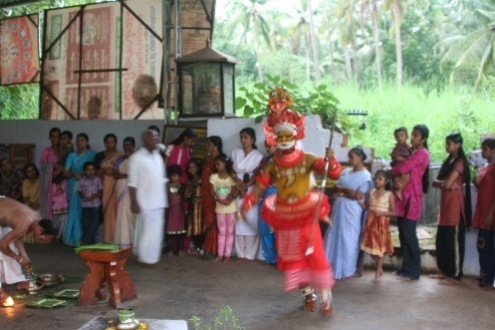 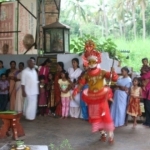 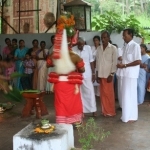 It is a uniquely north Keralan cultural experience, a dance ritual traditionally created to appease the gods. 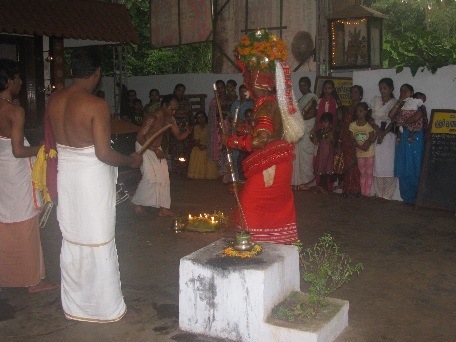 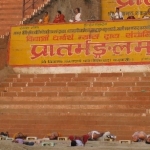 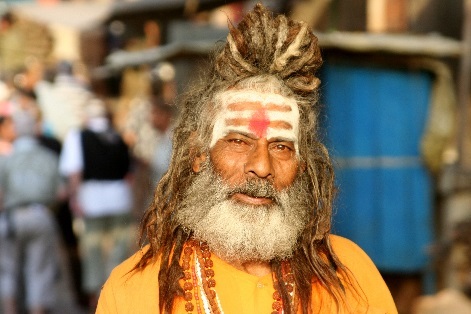 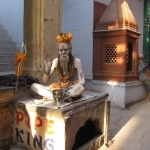 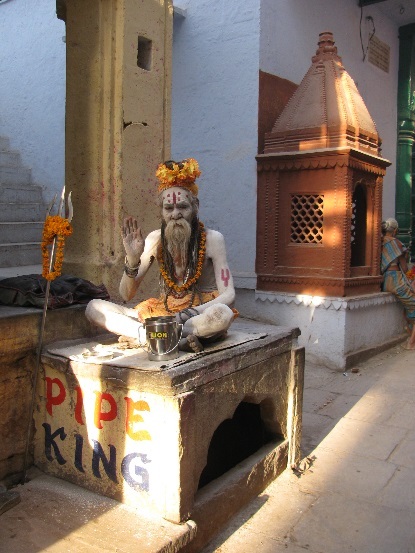 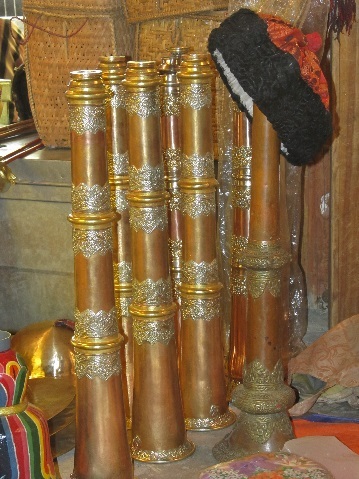 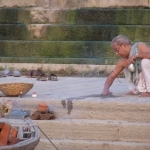 Theyyams usually take place in small shrines called Kavu and after all the rituals and hymns are performed it is believed the performer takes on the form of the particular temple deity, almost as if he is possessed. 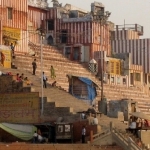 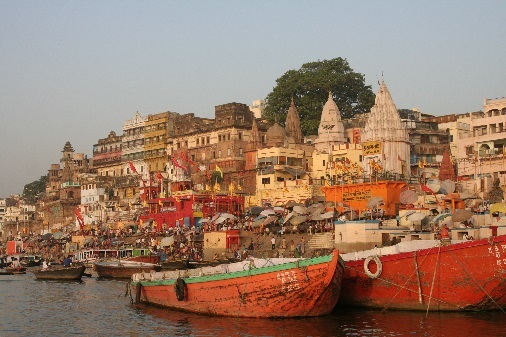 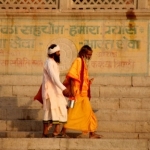 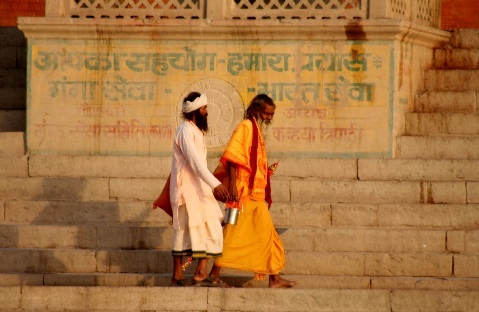 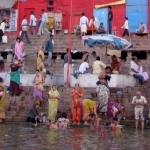 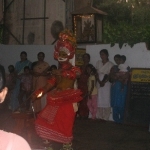 We piled into an auto rickshaw at dusk and headed for a nearby temple where cymbals clanged and drummers were in full flow. 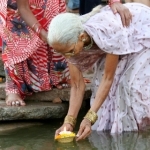 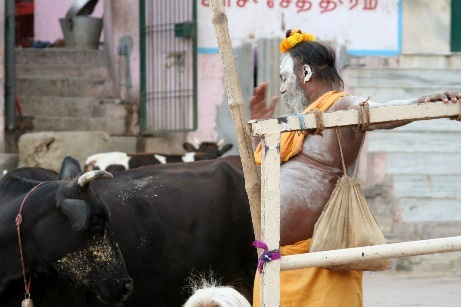 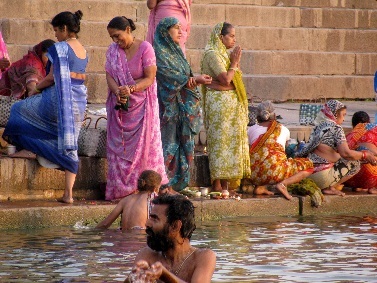 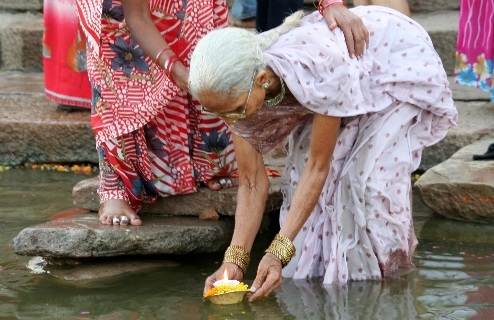 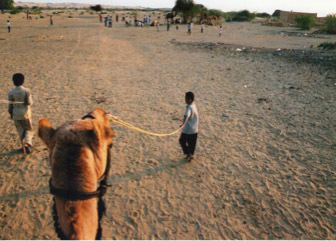 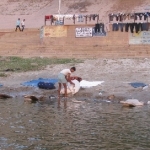 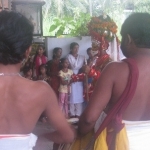 Villagers gathered around and local dignitaries received blessings. 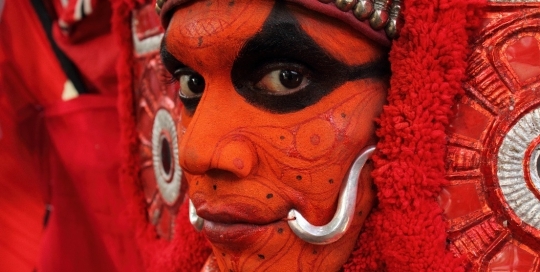 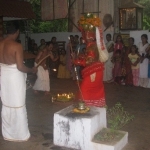 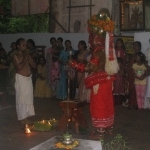 The priest started to perform his rituals and the Theyyam performer stood in front of him. 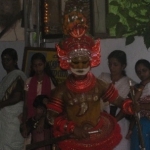 This particular performance was a Muthappan Theyyam where the performer’s face is heavily painted in yellow, with black eyes and red cheeks and a quite disturbingly prominent white mouth. 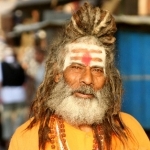 His chest is mustard yellow with symbolic tattoos, red bracelets adorn his arms with a thick red collar around his neck. 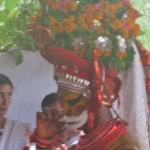 He wears an elaborate red headdress covered in orange marigolds with a long white tail piece which swished as he galloped around the priest. 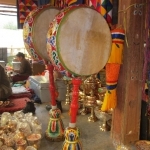 The drummers began some frenzied drumming, sweaty pouring down their foreheads as the tempo increased and the performer became more animated. 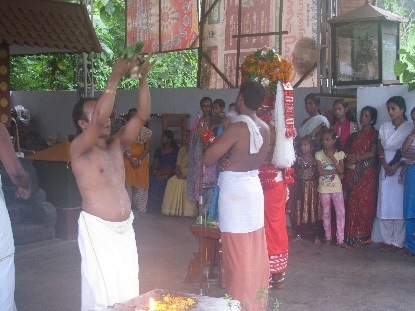 A coconut was ceremonially smashed and offered by the priest whilst candles lit the shrine in the gathering evening. 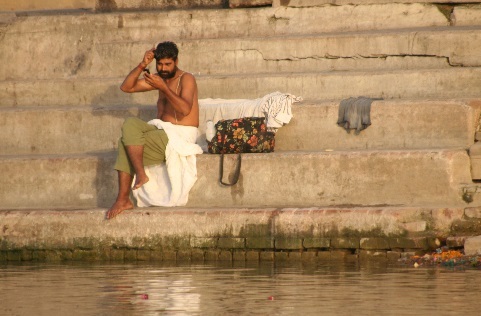 It was completely mesmerising. 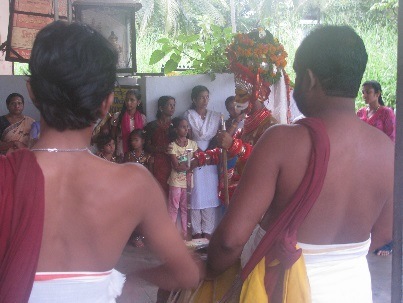 I didn’t fully understand what was going on but the whole spectacle captivated me. 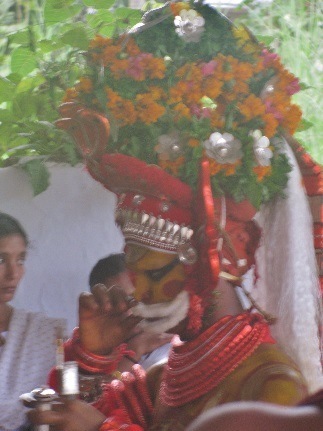 At one point I made direct eye contact with the performer which sent a shiver through me! 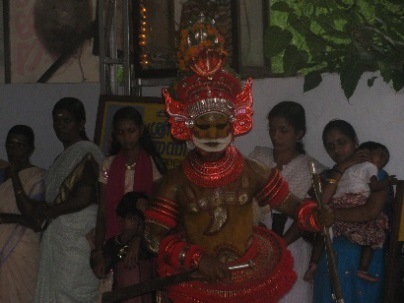 This was a short theyyam, some go on all night. 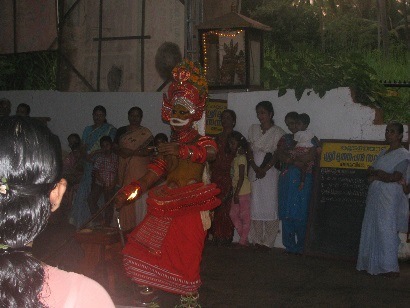 A performance at midnight at a fire Theyyam, now that would be something to write home about! 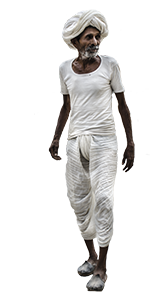 The alarm went off and tempted though I was to roll over and go back to sleep I knew I would regret it. 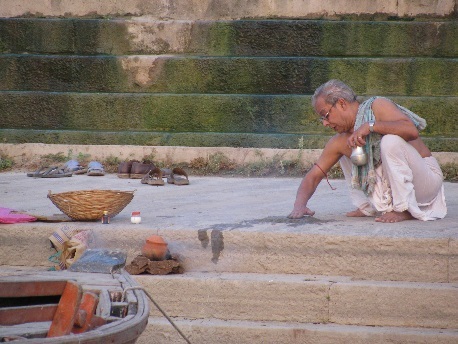 So I joined my companions on the hotel terrace on the first morning. 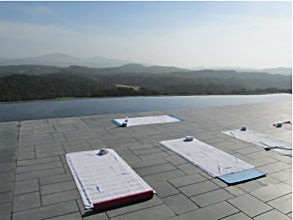 Yoga mats lay before us, and beyond were rolling hills of varying hues of blue. 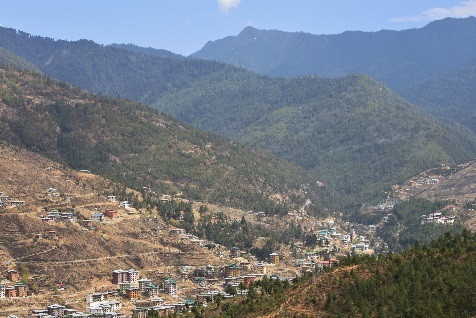 Mist swirled in the valleys and the dawn chorus was in full throttle. 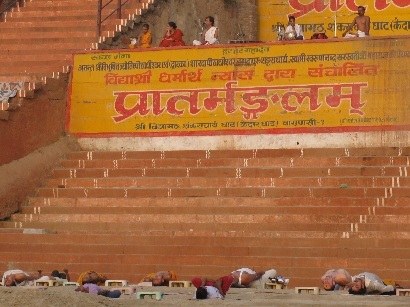 After some gentle stretching we struck some serious yoga poses and it was amazing how invigorating it felt. 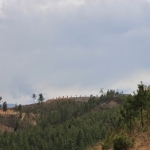 To lie back and watch clouds drift across a pale blue sky was instantly soothing for the soul and combined with deep cleansing breaths from a hillside in Karnataka I discovered the meaning of tranquillity. 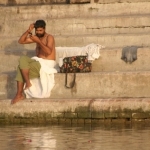 The session passed all too quickly and I knew I would be leaping out of bed the next morning, no thoughts of a lie-in . 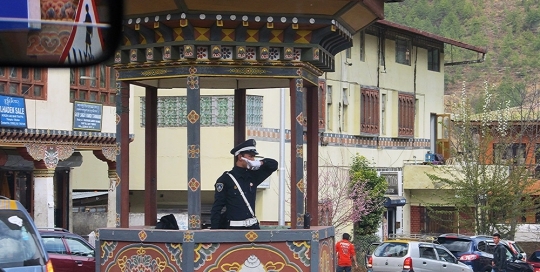 “Saluting the Sun” will never feel the same in the sports hall back home..